2019 GNRS AMBR - Rod Authority Reviews The "Rest Of The Best"
There can only be one AMBR winner. 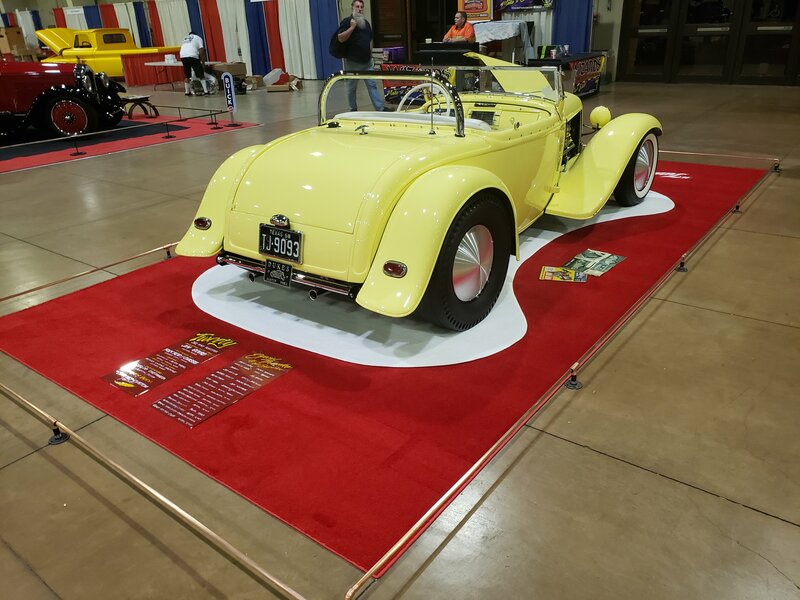 Since 1949, winning “America’s Most Beautiful Roadster” at the annual Grand National Roadster Show has been one of the most coveted awards in the hot rod hobby. For 2019, George Poteet’s “3 Penny Roadster,” built by Pinkee’s Rod Shop, is the new AMBR King of the Hill. You can see our story on it HERE. But, what about the other killer contenders that floored us with craftsmanship, style and creativity? We’ve always said we don’t envy the judges of the GNRS. It takes a seasoned eye and years of experience to identify a winner. The pressure to pick the big kahuna from the best builders in the world would be a pressure cooker to say the least. We think there is a fair amount of politics involved as well. But, anytime you put a group of people in a room, there’s gonna to be drama. Hell, folks can’t agree on what to have for dinner, for God’s sake. So political skullduggery is as predictable as darkness after dusk. Rod Authority wants to give a shoutout to the builders and owners who sweated blood and tears to bring these cars to Pomona. You make the world a better place and we stand amazed. Thank you for your achievement and know that we are your biggest fans. We thought we’d give you a little insight into all the stupendous contenders from the GNRS AMBR 2019. So without further ado, let’s take a closer look at the “Rest of the Best,” shall we? Dig Jim and Jan Grant’s KILLER 1929 Ford Roadster with all-original steel. Built by the owners with help from Roger Allen, Northwest Chrome, Kenny’s Rod Shop, Interior Revolution, EPSCO powder coating. 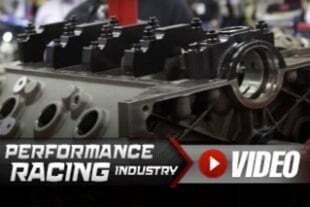 Running a 450 hp LT1 Chevy V-8 and a 200R4 automatic transmission, it was a treat to behold. 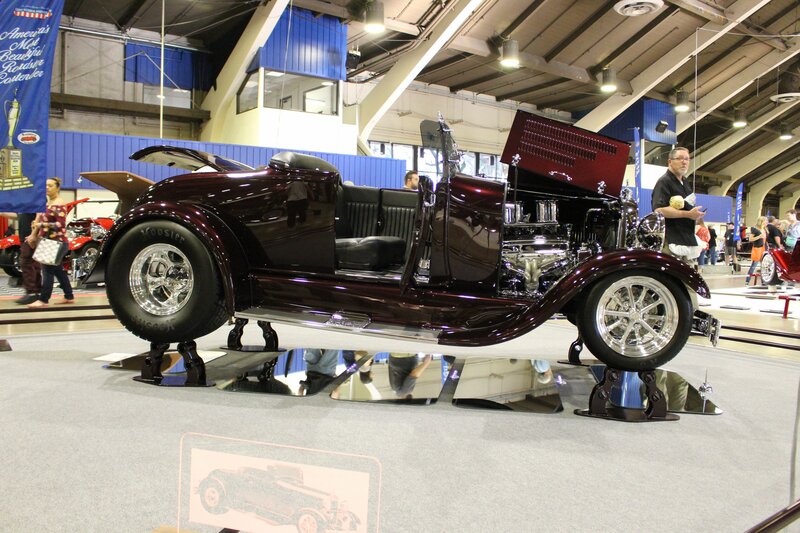 Next up, check out Corey and Ashley Taulbert’s 1932 Ford Roadster from Clarkson, Michigan. Super sanitary in raven black paint by Vintage Color Studio and running a flatty built by H&H Flatheads. Sid Chavers stitched up the interior and Corey emceed the build. What a beauty. Fantastic work of art. Tina and John Evans of Camino, California, showed off their tangerine 1927 Ford Touring dubbed ”Teed Up.” Built by J.B. Custom Designs in El Dorado, California, it was running small-block Chevy power. 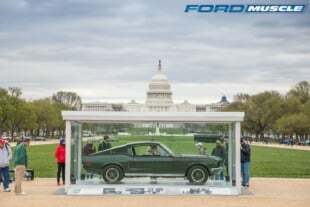 This was one of several open cars in this year’s AMBR competition. Mucho bueno. Cliff Mattis and Lucky 7 Customs showed up with the bronze “N Dueced,” and what a showstopper. Rick Santana crafted the interior and Sid Chavers stitched the top. They showed the car “open” and the detail and craftsmanship shone brightly under the Fairplex lights. Superb. Kudos to Cliff Mattis and Lucky 7. Dawn and Tim Kerrigan of Sonoma, California, brought their fantastic 1933 “Timeless” Ford Roadster. Designed by Eric Brockmeyer and built by Dominator Street Rods. This thing was low slung, sported the perfect stance, and shimmered in cranberry paint. Loved it. Chad Adams brought “Cool Hand Luke,” built by Adams Hot Rod Shop in cobalt blue. Sporting a Brookville body, vintage Y-Block Ford power, and sitting on an AHRS chassis, Chad did the lion’s share of the work. A knockout. Dig Gary Corkell’s 1932 Phaeton penned by Chip Foose. Resplendent in pastel pea green, this One Off Rod & Custom-built open Ford was smashing, yet subdued. They began with a Brookville body and stuffed in a vintage DeSoto Hemi V-8 with three deuces. The Paul Atkins Interior was sublime in detail and execution. Classic Instruments , which handled the gauges in 8 of the 14 AMBR contenders, did the instrumentation here as well. Yet another open car for you. Joanne and Tom Sargis from Redwood City, California, brought their 1933 Ford Phaeton. Assembled by Nitro Street Rods out of Sparks, Nevada, this old Ford is powered by a 502 big-block Chevy topped off with a big blower. Compani Color sprayed the thing out in foot-deep burgundy paint. Swoon. Bill Grimsley brought this 1932 Ford Roadster, built by Jackie Howerton and Bill Moal. Dubbed the “Howerton – Moal Tulsa Roadster” it created quite a sensation. Built from scratch, the details were amazing. Painted by Darryl Schneider and Mike Wagner, with a killer vintage interior by Sid Chavers, the car was period perfect. This and the “3 Penny Roadster” were RA’s picks to win AMBR. Again, another open car! The only non-Ford marque as well, this 1924 Buick Touring wowed the crowd. Brought by owner and builder Ryan Rivers of Fullerton, California, he was running a 1952 263ci Buick Straight-8 engine dripping with jewelry and was a sight to behold. Ann and Andrew Bowen brought their Brookville-bodied, Dan Kerbo-built ’32 Roadster. Boasting an old Merc flathead, squinty peepers, and dog-dish caps and steelies, it twinkled with precision and poise. Dig “Tweety,” Jim Govro’s 1951-built, ’32 Roadster restored by Rex Rod and Chassis out of Johnson City, Texas. Running a 331ci Cadillac V-8 and retaining its homebuilt, old-school charm, it was like a breath of fresh air amongst the cavalcade of high-tech, high-dollar builds. Ray Enos of Plains, Virginia, brought an old-school classic hot rod to Pomona. Running a Flatty with Ardun heads, it was spot-on vintage with wires and little adornment. Very nice. Like we said before, how do you pick a winner from this stellar bunch? When the smoke cleared there was only one winner. Kudos again to George Poteet and Pinkee’s Rod Shop, but also, to all the folks who participated this year at GNRS AMBR 2019. All are winners to us. Thanks to RodShows for a killer party and we look forward to next year.